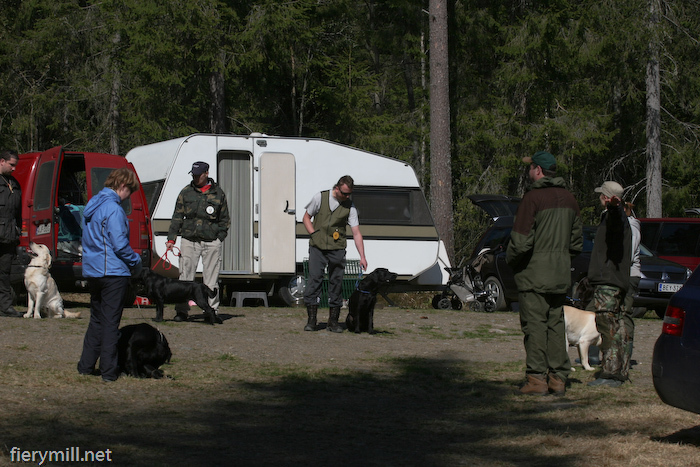 The first step in testing a dogs hunting abilities in Finland is the tendency trial (NOU is the abbreviation used). It is meant to test the natural abilities and tendencies of a retriever and serves as a starting point for all future activities. The term aptitude test is also used, but I feel that tendency describes the goals of the trial better. It is important to note that while I use the term trial in this case, the event is in no way competetive and the dogs are working toward a standard. All game used in the tendency trial is cold game. The trial consists of four different phases: social behavior, water work, search, and tracking. In the social behavior phase the dogs and handlers form a semi-circle or circle around the judge who describes the event and at the same time observes how the dogs behave. The judge will also greet each handler and dog in this phase. All of the other phases are individual activities. For the water work phase the body of water must be large enough that dogs will not try to go around it and entry in the water must be relatively easy (typically the shore will be slightly marshy but deepen quickly). 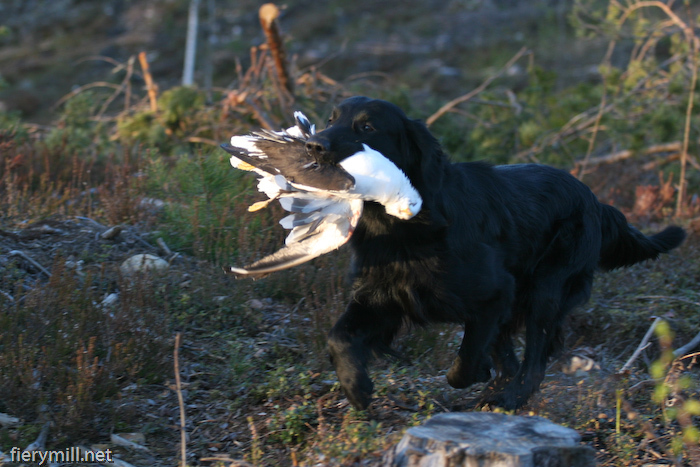 The first retrieve is to a bird thrown from the shore. 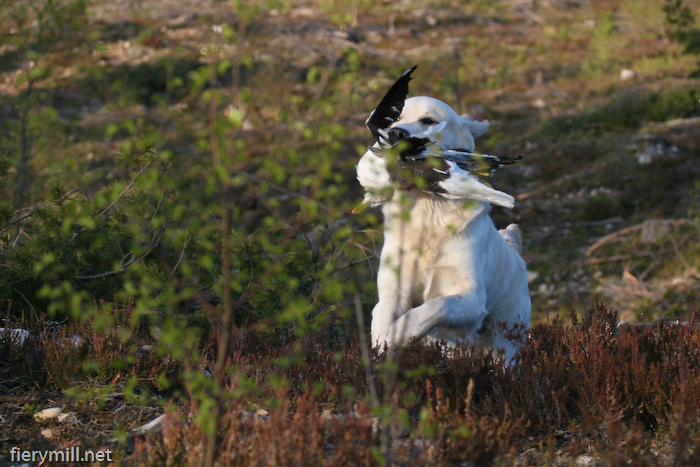 The second retrieve follows immediately after a succesful retrieve of the first bird. First a shot is fired on the shore after which the bird is thrown from a boat. 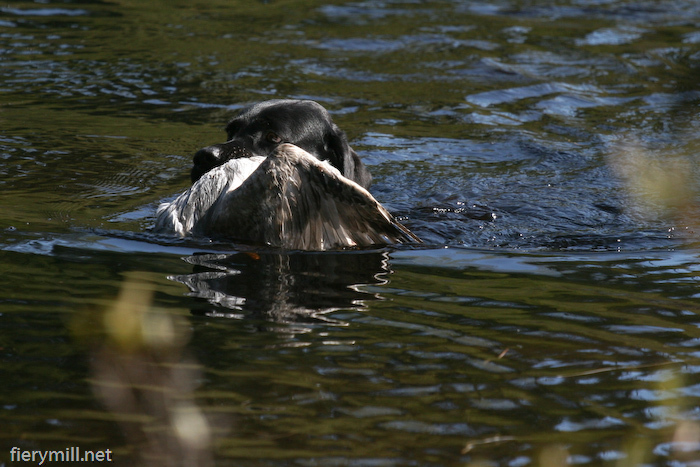 The distance of the second retrieve must be at least 20 metres (22 yards). Typically seagulls are used in this phase. If the water work is passed, the dog will immediately move on to the search phase. The search area has five game birds hidden with the furthest at least 50 metres (55 yards) away. The terrain must also be covered enough that the dog can’t see its handler all the time. When the dog is ready to begin, a shot is fired and the sixth bird is thrown into the area. 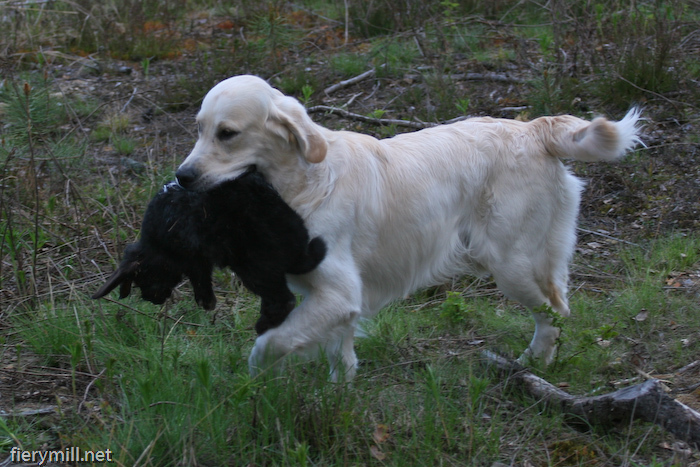 Typically four or more retrieves are required. If the search phase is passed, the dog returns to the waiting area. Once all of the dogs have completed the water work and search phases, the dogs that have passed the initial phases will move on to the trail. The trail is J-shaped and 80 metres long with a bunny at the end. The following attributes are evaluated: swimming, search and retrieve eagerness, grip, returns, reaction to shots, self-confidence and initiative, cooperation, and general appearance. Based on personal experience, definite no-nos are commanding the dog to pick-up the game or braking the game. A lack of self-confidence or enthusiasm also quickly leads to failure even though the judge often tries to encourage uncertain dogs. It is important to remember that the goal is to evaluate the natural tendencies of the dog. This means that the judge can encourage a dog that feels uncertain in a new situation, a dog can come back from a search empty handed etc. Once the tendency trial has been passed, the way is open to hunting tests and working trials. It is also important to note that passing the tendency trial is a requirement for a dog to become Finnish champion in the show ring. Of the Finnish flatcoats born between 1995-2006 28.5% have passed the tendency trial and 7.7% have failed, the rest haven’t tried. In comparison, with golden retrievers the percentages are 4.3% and 2.2% respectively. 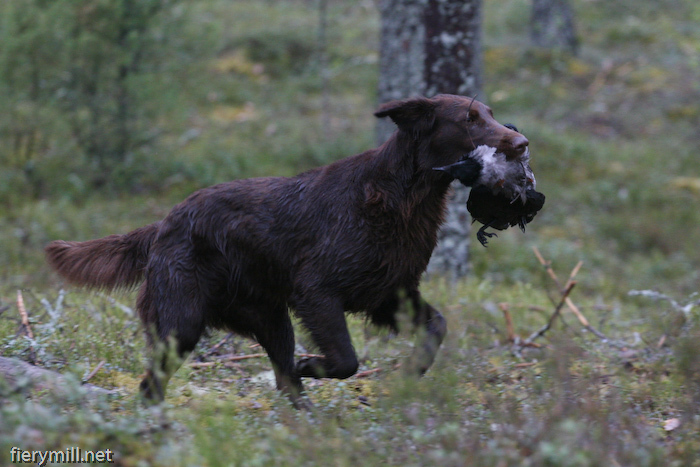 Most Finnish dogs that continue working in organized field events participate in hunt tests (NOME-B is the abbreviation used for the tests). 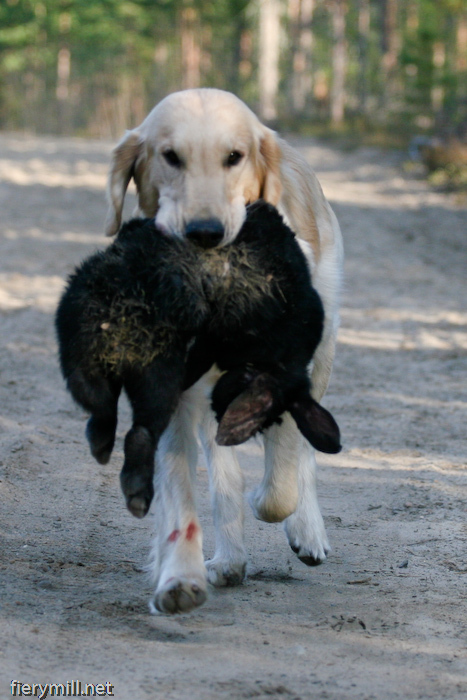 The tests are designed to evaluate the ability and willingness of retrievers to work in conditions similar to hunting and are working toward a standard. The tests have three classes: beginner (alokasluokka, ALO), open (avoinluokka, AVO), and winner (voittajaluokka VOI). Dogs start in the beginner class without age restrictions and can move on to open class after they have received on first place (ALO 1). They can still participate in beginner class events to the end of the calendar year when they’ve gotten a first place. The same qualifications and limits apply to moving from open to winner classes. The game used in hunt tests must be of at least two different species (game used in water tasks must be water fowl). Bunnies, rabbits, and hares may also be used. In the winner class bumpers may also be used. The species must be the same for all the dogs in any given test and a test may not mix using game and bumpers. 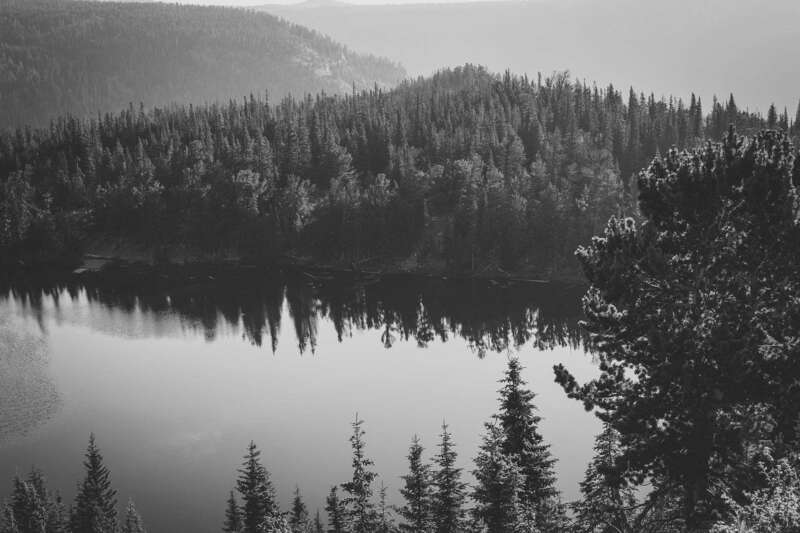 The terrain in the test must resemble normal (Finnish) hunting terrains. This means that in most tasks the dog can not see the game and the water must be deep enough to force the dog to swim. 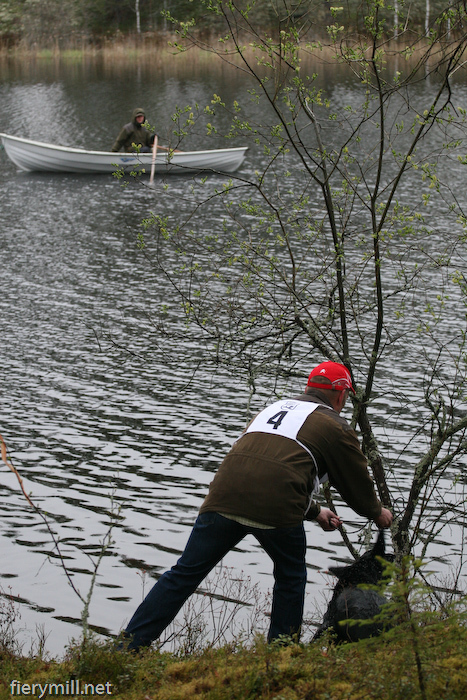 Decoys can be used in water areas and winner class tasks may also be performed from a boat. The dog is given at least six retrieves both on land and in water, during which at least three shots are fired. In open and winner classes the waiting ability of a dog while another performs can also be evaluated. Search tasks where the dog must not see its handler all the time. Guidance tasks in which the handler guides the dog to the game. The handler should be able to see the dog during most of the task. winner classes the judge may designate the order in which the game must be retrieved. In beginner class a trailing task is added to the end for those dogs that still have a chance for a first place position. The trail is about 200 metres (220 yards) long and the dog starts 10 metres away from the trail. In hunt tests the following attributes are evaluated: search, scenting ability, efficency and endurance, locating ability, reaction to shots, game handling, water work, trailing ability, cooperation, controllability, calmness and silence, and the general appearance. The first place is given to dogs with an excellent overall performance. The second place goes to dogs with a good and the third place to dogs with an adequate overall performance. If the overall performance isn’t enough for a placement, the result is zero (0). A line (-) as the result means that the test for the dog was interrupted by the handler. Part 1 describes the tendency trial and hunt tests with cold game. A forthcoming part 2 will describe working tests, warm game hunt tests, and a practical hunt test. This is a work in progress, so all comments on how to improve the text are appreciated. If you’d like to republish this text, please contact me at rmiraftabi@gmail.com. All pictures are © 2008 Anna and Ramin Miraftabi and may not be used without permission. Very nice description! Thank you!